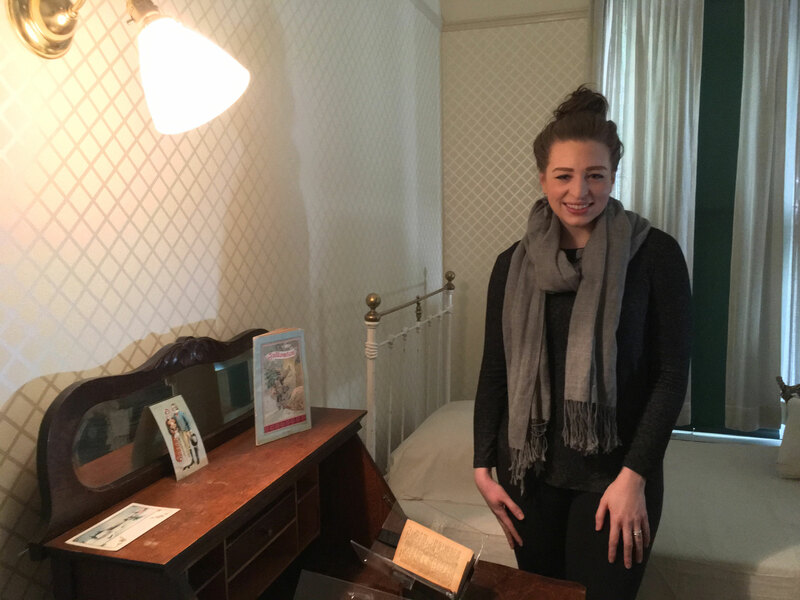 Last fall the Center for Colorado Women’s History at the Byers-Evans House Museum invited scholars, activists, and artists to work on projects that help inform the understanding of women in Colorado’s history through a fellowship. Three fellows were selected based on their proposals for new work that would highlight women’s contributions to the history of the state. This month we caught up with two of them, Kelly Denzler and Kali Fajardo-Anstine, to ask them about what they worked on and what they learned from their experiences. We hope you’ll find their insights as inspiring as we do! Kelly Rogers Denzler teaches high school French and social studies at St. Mary’s Academy in Denver. Her initial goal was to connect the lesser-known stories of diverse Colorado women to the museum experience, but she got intrigued by ways to make the museum more attractive for students. She created a curriculum for a fourth grade history unit that compares the life of arts patron Anne Evans with that of Esther Alsbach, the Evans family’s domestic servant. The curriculum will be available online, and Kelly hopes to offer programming to help introduce it to teachers. What’s your relationship to Colorado? I was born and raised here. My grandparents moved here in the forties. I’ve seen a lot of changes just in my lifetime in the city of Denver. Nowadays all fourth graders in Colorado, if they’re in public school, have to study Colorado history. That was not the case when I was in fourth grade. We did Colorado history in a very brief unit when I was in elementary school and I remember it was like Pikes Peak and the former history museum and that was it. There wasn’t really a whole lot of discussion about who else was here other than pioneers. I had no idea that there were, for example, Japanese picture brides in Colorado; that’s something I just found out during my fellowship research. I didn’t know about the people working on the sugar beet farms. I didn’t know who Justina Ford was. I think it was this feeling of being connected to a place but not really knowing all the stories in that place. When I was in elementary school we never learned about the KKK presence in Denver. That’s something we do teach now, but for a whole generation of students in Colorado that kind of went unspoken. In the ’90s we just didn’t talk about it. Why do you think women’s history in particular is significant? I’ve always been interested in women’s history, whether it’s in Colorado, Europe, anywhere. I think it’s really interesting to look at what the women were experiencing because that’s half the story, but also it’s the stories that aren’t passed down necessarily. I think to study the women in Colorado is to really understand the other missing piece in our state’s history. The women in this house, the Evans women, they were certainly privileged, they had traveled, they had studied, they were brilliantly vibrant women, and then I found it was really interesting that they weren’t politically active at all. Who were the women who were politically active and why don’t we know their stories? Why don’t we tour their houses? Colorado women’s history is so important because it’s also reaching out to all of Colorado women today and saying, “you have a place in this story.” I think that the challenge of house museums, of the common narratives of Colorado history, is that young people today don’t necessarily see themselves reflected in the story of the state. I think that the Center for Colorado Women’s History provides that amazing opportunity to reflect the fact that we are all a part of this story and it doesn’t belong to any one person. Did you have any “aha”s or major learnings? As somebody who doesn’t work in historic preservation or museums, I really underestimated the amount of work that’s been done on some of these women’s stories. I had no idea about the amount of research that’s been done. It’s mostly women authors who are putting in a tremendous amount of work and time to make sure that these stories are told. How do you think your experience here might inform your work going forward? When I teach, I’m going to be much more intentional in incorporating stories of Colorado women. To be honest I just wasn’t aware of a lot of them. I think that’s going to be the most direct impact on my professional life: just being more intentional and more fearless about incorporating the stories of women in the state and really trying to find the stories that do reach my students. I have a lot of students of color who would appreciate stories that reflect in some ways their experiences—like for any of my students who feel they can identify with the struggles that Jovita Ortega had to go through; I think hers is such an encouraging story about resilience and about hard work and about not giving up. I think there are so many stories in the Colorado woman’s canon that can really impact my students. I would encourage people who are interested in the fellowship to really look into it. I think it’s an amazing experience and you don’t have to be someone who works primarily in historic preservation. 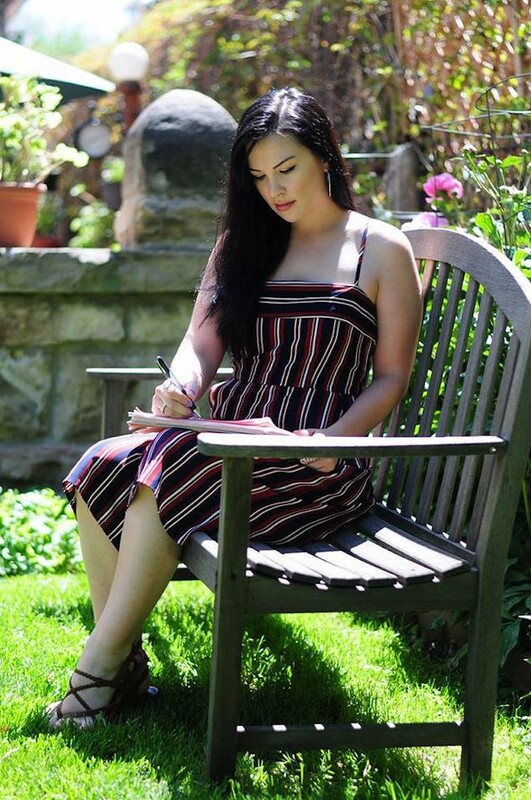 Kali Fajardo-Anstine is a novelist and short-story writer whose first book, a collection of short stories about Chicanas in Denver, Sabrina & Corina, has been named one of the most anticipated books of 2019. She’s done extensive research for her second book, Woman of Light, which is set in Colorado between 1875 and 1933 and centers around women of color in the American West. Kali utilized the fellowship as an opportunity to extend that research. The way I describe myself is Chicana (or Xicana/Xicanx) with an origin ancestry of Pueblo Native American. I write about my Colorado, a triple-colonized southwestern zone that went from Indigenous sovereignty to Spanish rule, then Mexican rule, and eventually, as it is now, the United States. My existence comes out of this ancient Colorado and the greater American West, where a unique convergence of cultures came together. When I was in graduate school at the University of Wyoming I began seriously studying fiction, and I wanted Denver to have its own regional literature. I wanted to focus on the American West from the perspectives of women of color, rather than the more stereotypical narratives of the West that push and elevate the stories of white men. Simply put, women are human beings and to deny our subjectivity and experiences throughout history is to deny our human story. In my writing, I’m trying to center the experiences of women of color to provide a version of history that has often been ignored, overlooked, or silenced. I saw a huge gap in literature about the American West and I hope my books will create a more rounded view of history and encourage other Chicanas and women of color to write their own stories. Did you have any “aha”s or major learnings during your fellowship? One of the most valuable things I learned during the fellowship is that History Colorado and other archives have physical artifacts researchers may view and oftentimes touch. Before this fellowship, I mostly used texts, photographs, and other 2D objects for my research. However, as a writer, my scenes are inspired by the tactile. While conducting research for Woman of Light, I visited the Denver Public Library’s Western History floor to view and photograph Ku Klux Klan robes, and at the History Colorado Center I was able to view 1930s wedding dresses and an extensive collection of historic firearms. Feeling the weight of these objects allowed me to enter a fictional world in a very real and startling way. Something else I learned is that many formal organizations kept historic board meeting minutes and other documentation of their daily activities in Denver. When it came time to create scenes in my novel, I realized that my ancestors were working class and poor and not part of official groups that would have kept institutional records. And in some cases, the institutions themselves haven’t made it a priority to collect documentation by historically marginalized groups. It’s important that we create that documentation now to secure knowledge for later generations. How does this project fit with your body of work and/or how will it inform your work going forward? I started writing at a young age. I always knew that I wanted to tell these stories, stories that focused on triumph and resiliency but also expressed the pain and discrimination that my people have faced in the West. If anything, this fellowship allowed me to more deeply explore my feelings on this matter. This fellowship is important because it provides a creative avenue for women scholars, and will ultimately create new knowledge and a greater sense of Colorado history. I am grateful to have been a fellow. Want to learn more? Join Kelly and Kali, as well as fellow Natalia Zreliak, on Saturday, January 26, for a panel discussion at the Center for Colorado Women’s History. We're now accepting applications for fellowships this fall - you can learn more here.